Free Articles - ALL WORLD LANGUAGES & CULTURES, INC.
Communication between supervisors and employees who share the same language and culture often is difficult enough, but small business owners and managers who supervise employees of varying nationalities face particularly difficult challenges. Each of us views the world through “cultural lenses” constructed by us or imposed on us by society. Most of the time, we are not aware of our lenses. Most important, we forget to recognize that others wear lenses too; and that their lenses may be different than ours. The first and major step toward successful interaction with others whose lenses are different from our own is to become aware of the presence and the impact of these lenses in our daily attitudes and professional behaviors. Developing an understanding of our cultural biases, fears and stereotypes, and how they affect our perceptions and interactions with each other in the workplace, is a giant step toward reducing stress and increasing productivity. We all view our ways of doing things as the best possible. If other people complete a task differently, in our minds, they must be doing it wrong. This attitude causes us to use our own set of standards to judge all people, often unconsciously. Humans tend to see their groups, and their own culture, as the best and the most moral. Biases based on historical cultural experiences can explain some attitudes of both employees and employers. Stereotypes arise when people act as if all members of a culture or group share the same characteristics. Stereotypes give a false understanding of others and allow people to observe others in selective ways that confirm their prejudice. For example, although many Hispanics hold a respect for people in authority and do not hold prolonged eye contact, this is not universally true of all Hispanics. Often when talking about “Hispanics,” we refer to Mexicans. But, the term “Hispanic” includes people from Mexico, Puerto Rico, Cuba, South America and Central America. The Mexican culture is quite different from the rest of Latin America. The same is true for “Asians.” Although Asians often are viewed as a homogeneous culture, in reality, the term encompasses people from many different regions, for example, the Pacific Islands, which include Hawaii, Samoa and Guam; Southeast Asia, including Vietnam, Thailand, Cambodia, Laos, Burma and Philippines; and East Asia, including China, Japan and Korea. “Asians” from these countries all have different languages and cultures. Language and literacy are a major problem in communicating with employees from different nationalities. It is obvious that in most workplaces, linguistic assimilation enhances team functioning, effectiveness and productivity. The lack of clear communication often leads to frustration and stress on individuals, and high turnover and profit loss for the company. Bridging Cultures and Avoid Communication Breakdown. However, there are ways for small business owners and managers to bridge cultures and avoid communication breakdowns. Businesses can benefit tremendously from language training. You can enhance workplace relationships by learning another language and encouraging foreign workers to learn English terms specific to the company’s industry. At least take the time to learn how to pronounce employees’ names correctly. This may seem minor, but it may become a big deal if it affects work relationships. Foreign names often are difficult to pronounce for English speakers because they contain unfamiliar vowel and consonant combinations, sounds and accents. Often, foreign names carry specific meanings assigned by their families or cultures. Pronouncing these names correctly shows respect for the person and for the overall culture. On the other hand, a mispronounced name may have a different meaning that hurts the owner’s feelings. Most people appreciate it when you ask how to pronounce their name. This refers to learning and being comfortable with many cultural standards and customs, and having the ability to adapt behaviors and communication styles to a variety of interpersonal settings. For example, the generalization that Hispanic-American patterns of cross-status communication differ from the more egalitarian patterns of European-American has an effect on manager-employee interactions. Training both parties in alternative cross-status communication styles will prepare them to deal more effectively with each other in the workplace. Another important first step is to research and understand your own culture and system of values and beliefs. What are the underlying social values in the United States, and which values support the business behaviors that you exhibit in the workplace? Learn these values and teach them to your foreign employees. The, research and familiarize yourself with cultural characteristics, history, values, belief systems and behaviors of your foreign workers. What are the underlying social values of their cultures, and which values support the business behaviors they exhibit in the workplace? Learning those values and applying them will help you understand why foreign employees behave the way they do. Ask individuals from any culture about their traditions, and they gladly will explain them to you. Emmanuel Ngomsi, Ph.D. is a consultant, interculturalist, trainer and speaker with All World Languages & Cultures Inc.. The company specializes in intercultural communication training, cultural diversity education and training and foreign language services. He can be reached at info@universalhighways.com or (888) 646-5656. Culture refers to the fundamental values and norms that a group of people—such as an ethnic group, a nation, a corporation, or some other organization or profession—holds or aspires to hold. Every culture distinguishes itself from others by the specific ways it prefers to solve certain problems, such as those that arise from relationships with other people, from the passage of time, and in dealing with the external environment. Groups of people have "typical" cultural traits that can be identified by observing situational behaviors and predominant tendencies in problem solving. Recognizing that a group exhibits certain "typical" cultural traits does not mean that every person in that group has precisely those characteristics. That would be stereotyping. The way in which attitudes are expressed in a business organization and the way employees are evaluated and rewarded are labeled "corporate culture." Diversity is the similarities, as well as the differences, among and between individuals at all levels of the organization, and in society at large. Diversity of thought is critical to reaching the most innovative, customer-focused solutions to the many issues, problems and challenges confronting our business. As such, it is the responsibility of every manager to value and secure diversity of thought in his/her work unit by employing and developing the highest-caliber individuals differing from one another culturally, intellectually and experientially, as well as by race, gender, physical and mental abilities, and other factors. Training people in cultural diversity requires that each member understand that he/she is a cultural entity different from others. Most of us now understand what makes us different from each other. In this regard, teaching cultural diversity for the sake of the initiative or as a mandate is not enough. It is sometimes even counter productive. 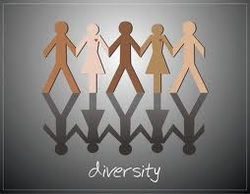 Diversity education must be taken to a higher level by bringing workers to the understanding that our diversity should be considered not as liability that hinders work relationship, but rather as assets to enhance engagement and job satisfaction and ultimately increase productivity. Cultural diversity training must be coupled with a team building facilitation interactive activities.